Next of Kin, the 1982 spook-fest from the Kiwi-born director Tony Williams, is the best kind of surprise: it combines the campy pleasures of 80’s B-horror with the baroque composition and exacting sensibility of The Shining, Suspiria or Don’t Look Now. Next of Kin has deep resonances with these prior films, but stakes a territory that feels confidently original, carving out spaces of surrealist reverie and slow-motion lyricism in moments of ostensible panic. Still, it never feels condescending to its genre — as if horror could only be made artistic by departing from its core conventions. Genuinely obsessed with the gross liquidity of the human body – the wrinkled pallor of drowned skin and the unreal glassiness of eyes — Next of Kin finds a delicacy in the grotesque that feels traumatic rather than affected. Full of startling imagery and pulsing with a fantastic score from ex-Tangerine Dream member Klaus Schultze, it’s a film of disarming beauty about the visceral fear that adulthood is mad, violent, and wrong. - Jonathan Foltz, notcoming.com, 17 October 2012. After the untimely death of her mother, Linda returns from her university studies to reacquaint herself with the inherited Montclare, a home for the elderly her mother owned and operated through the decades as a family business. As she internally debates about whether to sell the grand, yet antiquated estate, 24-year-old Linda shuffles through her mother’s left behind things that rekindle Linda’s faded memories of her youth and add a sense of melancholy about her mother’s mental condition. A seemingly quiet, if not quirky, home for the elderly quickly becomes shrouded with mystery after the discovery of one of the residents found dead in a bathtub. Soon after, Linda feels as if she’s being watched and toyed with inside the corridors of Montclare: candles found lit, bathroom fixtures overflowing and cascading with water, mysterious figures looming from inside her room’s window, and her mother’s belongings sprawled out about the room. Paranoia sets into Linda as she suspects the resident caretaker and doctor of a lethal plot against her inside an old, foreboding manor that troubled her mother into deathly consequences and she searches for answers inside her mother’s extensive diaries that reveal the ominous dread that overwhelmed her inside an evil house. Next of Kin is Australia’s answer to Dario Argento’s hauntingly apprehensive and vividly hued classic, Suspiria. Directed by Tony Williams and co-written with Michael Heath (Death Warmed Up), Next of Kin embodied monolithic brooding merits of a gracefully shaped horror and palpitating anxiety unlike any other Australian horror film we’ve ever seen before. In fact, Williams 1982 film doesn’t feel very Australian at all. It’s set chiefly in and around Montclar, a lavishly gothic estate with expensive fountains and floral garnishes. Aside from native accent and barely a dusty road to drive down, the country of origin could be anywhere, punching home the aspect that the incident at Montclar is universal. Looking into a couple of their techniques, Williams and cinematographer Gary Hansen (Image of Death) utilize slow motion and interlaced scenes to convey a surreal dread that transcends from film to senses, also involving disruptive audio cues and visual jump scares, to culminate every scene, ever moment, into a well thought out result on how to effectively reach out and affect that scared little boy or girl in all of us. 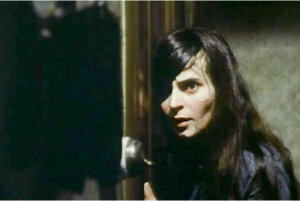 Primarily a television and mini-series actress, Jacki Kerin sets foot into the main actress Linda. Kerin’s able to flip emotions from emitting a passive quality while seemingly annoyed by her mother’s death, switching gears into a hyper-tensive defender. The small screen actress translate well onto the big screen, accompanying well versed thespians in Picnic at Hanging Rock’s John Jarratt, who went onto to more notably the Wolf Creek franchise. There’s also Alex Scott (The Abominable Dr. Phibes) and Tasmanian-born actress Gerda Nicholson. Scott and Nicholson do a fine job of portraying un-trust worthy snoops with underlining knowledge yet to be exposed, and with Kerin, the fear goes unopposed and spreads like wild fire. The remaining cast includes Charles McCallum, Bernadette Gibson, Robert Ratti, Vince Deltito, and Debra Lawrence. Practical effects are minimal in Next of Kin, but are well integrated with a meticulous purpose. Williams maintains the gore to an infancy amount, but the New Zealand born director doesn’t nickel-and-dime the macabre. Much of the death displayed comes in at post-humorous, visually positioning the cold and blue hued, more at times ripped life from, bodies to vessel the story forward toward a shocking, what-the-hell, and oh glorious climax. Then, with all the proverbial cards on the table, Linda finds herself ensnared in a cat-and-mouse game where Chris Murray’s practical effects come to the forefront. Special effects maestro, Chris Murray, had the George Miller experience while working on Max Max in 1979, prepping him to be the adequate effects artist to create surreal and, also, brutal Giallo-like murder. Next of Kin has a brawny Italian Giallo flavor with a gritty, distinctive core of Australian horror filmmaking; sheerly beautiful and indisputably morbid, director Tony Williams has garnished a choice horror favorite that’s been sorely passed over through the years. - The Evil Blogger, itsblogginevil.com, 2 December 2018. A remastered 4k transfer from the original 35mm interpostive and presented in a widescreen, 1.85:1 aspect ratio. Beyond gorgeous with lush grim colors and keeping the natural grain of the 35mm nitrate. It shows no wear in the transfer and no compression issues or edging enhancements. Even with the heavy blue tint at times, the amount and the use is appropriate alongside Gary Hansen’s vision. The new English DTS-HD master audio emphasizes the heavy synthesized score by German electronic music composer Klaus Schulze that meshes fine with the creepy house ambiance. Dialogue is properly forefront and crystal clear. - adapted from The Evil Blogger - as above.